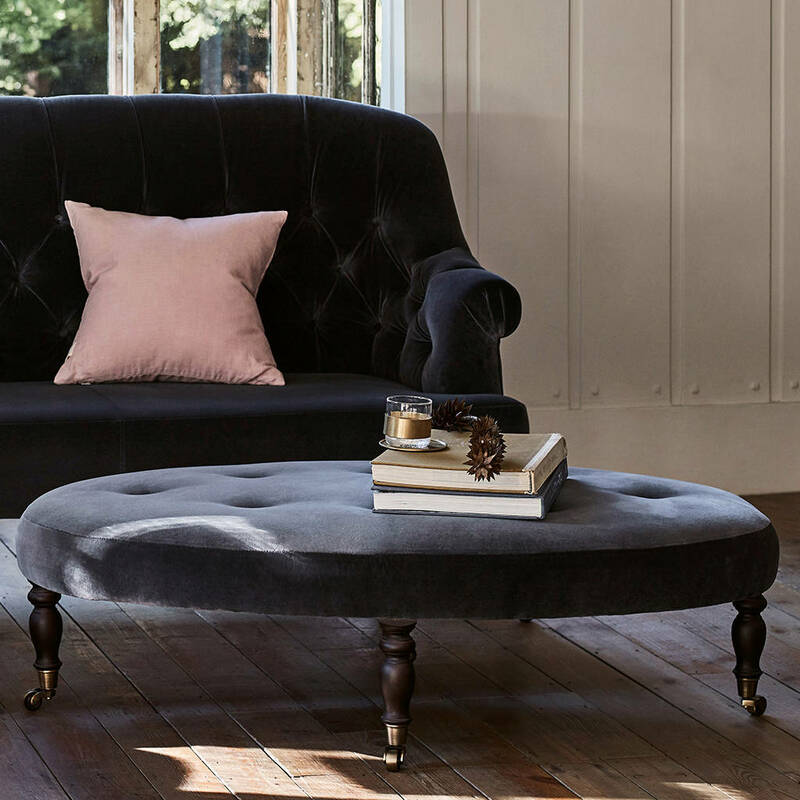 The Chesterfield sofa is a British design classic. 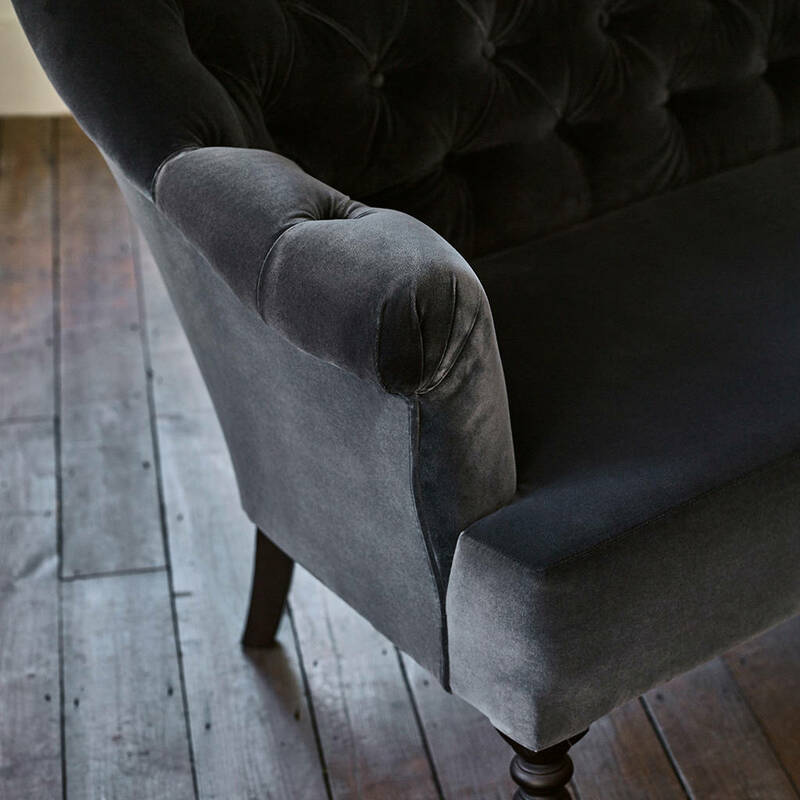 Its padded, button-studded back and outward turned arms speaking of gentlemen’s clubs and cigar smoke hanging heavy and visible in the air. 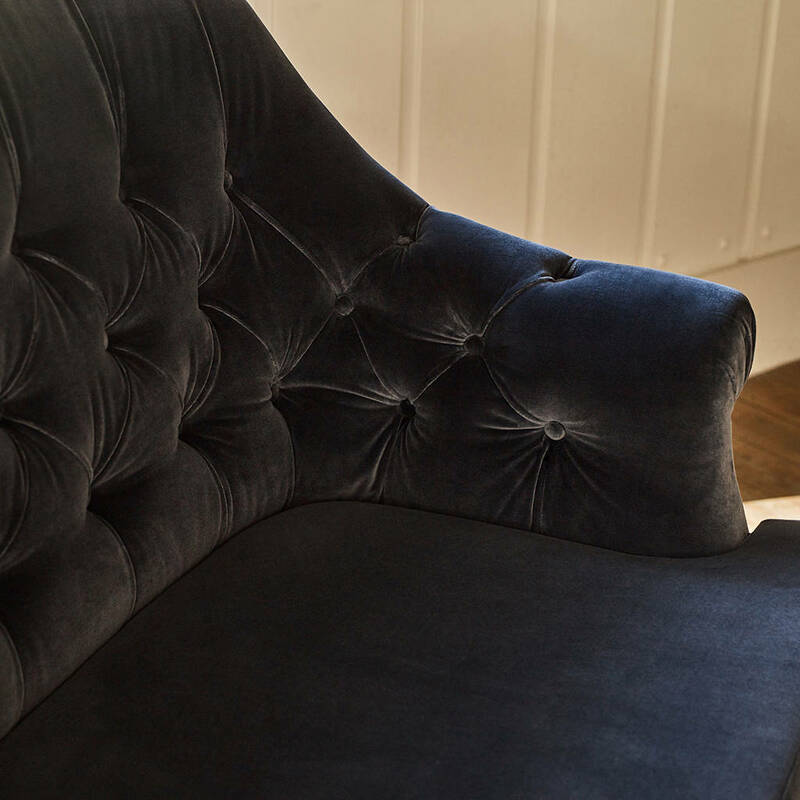 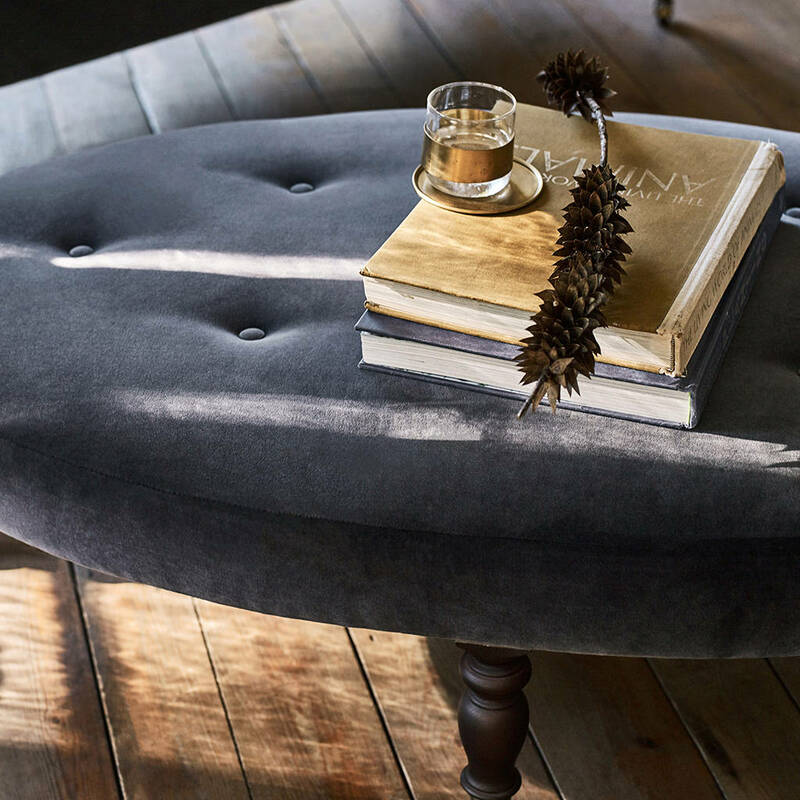 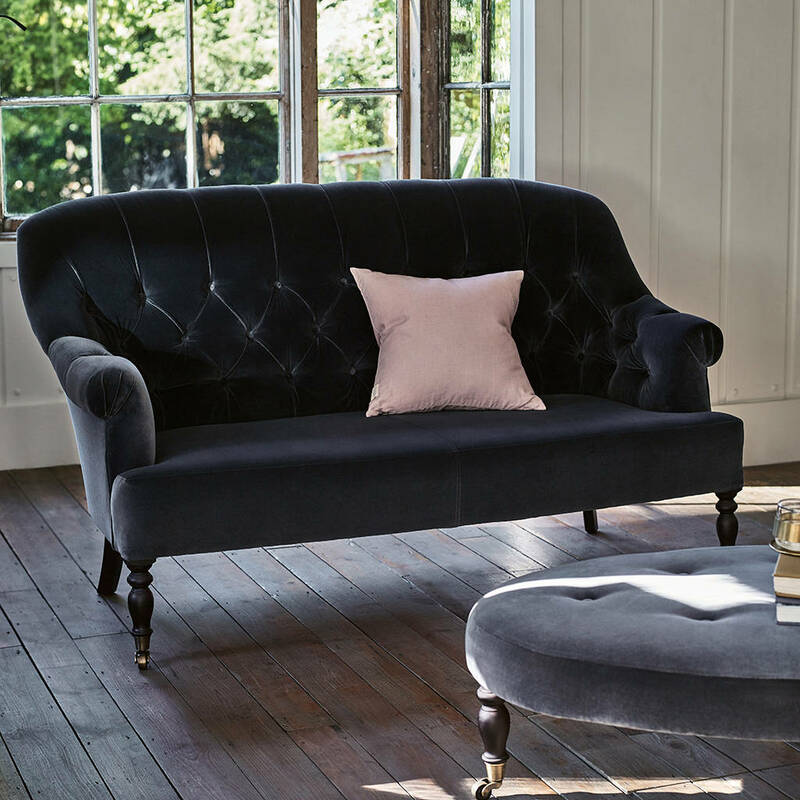 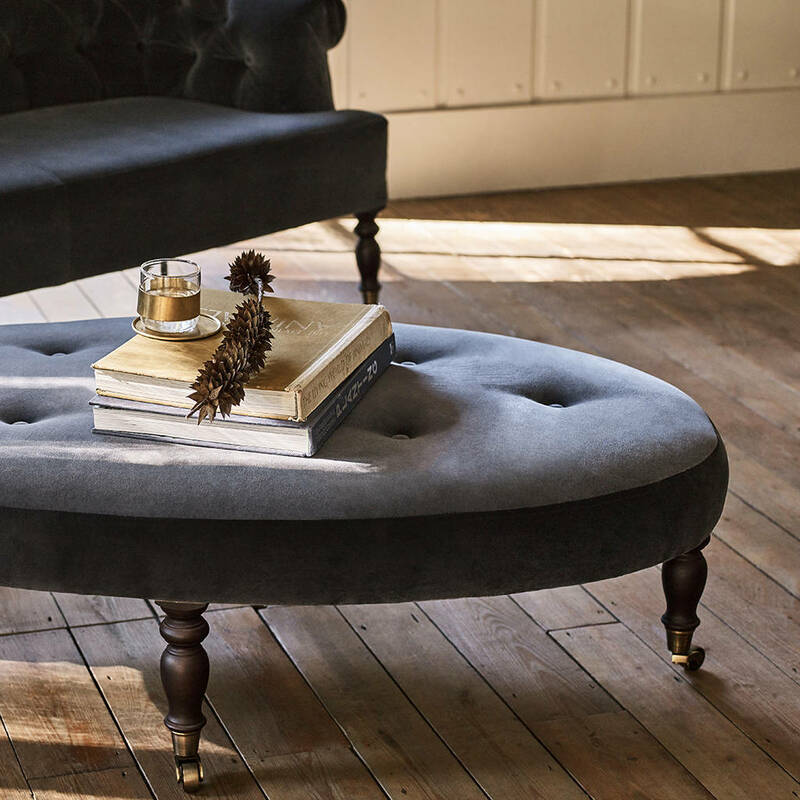 Our Chesterfield Velvet pays homage to the icon, presenting a relaxed take on its traditional formality while holding on to every inch of its sophistication. 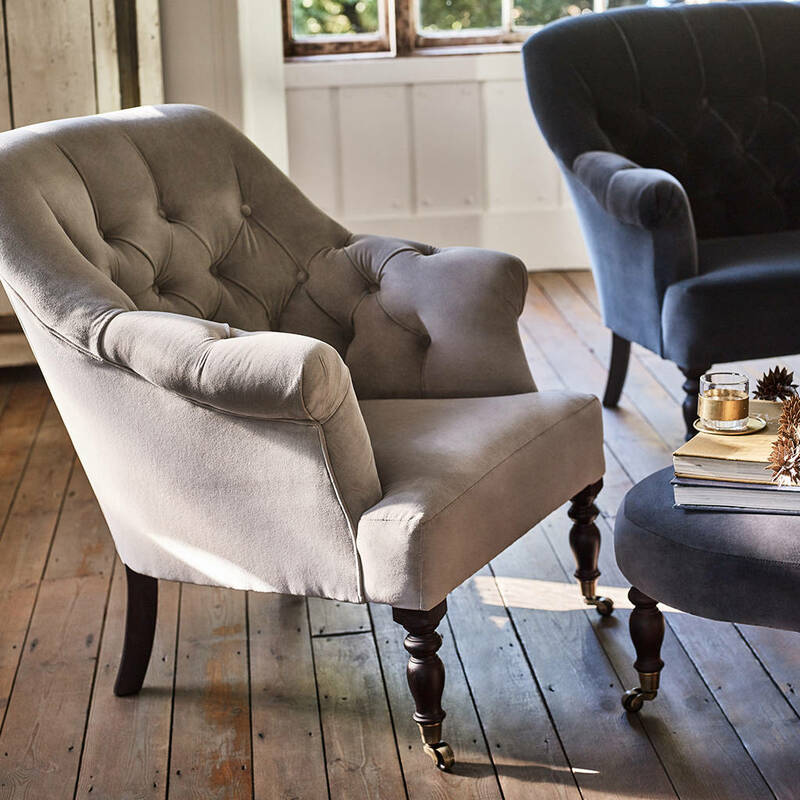 The luxuriant velvet – available in two hues of grey – ensures that the trio of armchair, sofa and foot stool are all highly tactile and, while refined, exude exquisite comfort; resisting flopping into the open arms of the chair or sofa would be an exercise in futility. 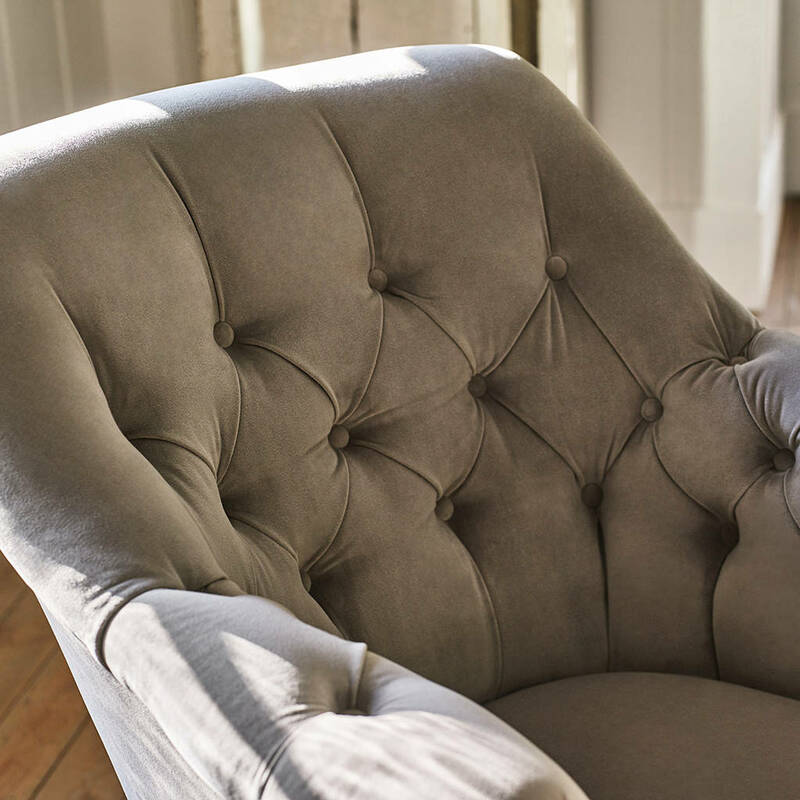 Mix and match all three pieces in different colours and materials (also available is a wool finish which oozes cosiness) to shake up and swerve any hint of stiffness or stuffiness. 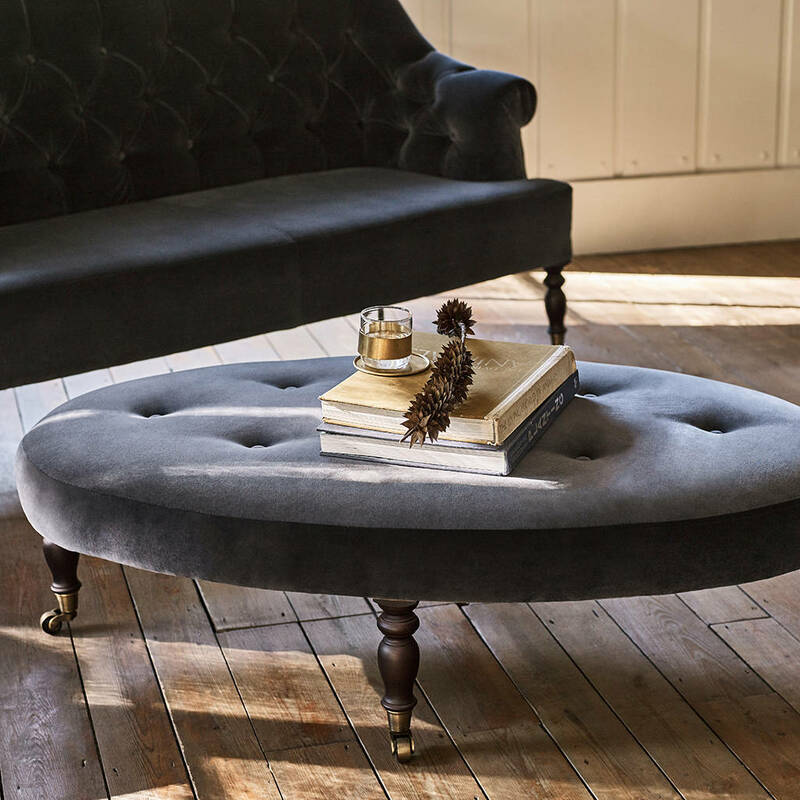 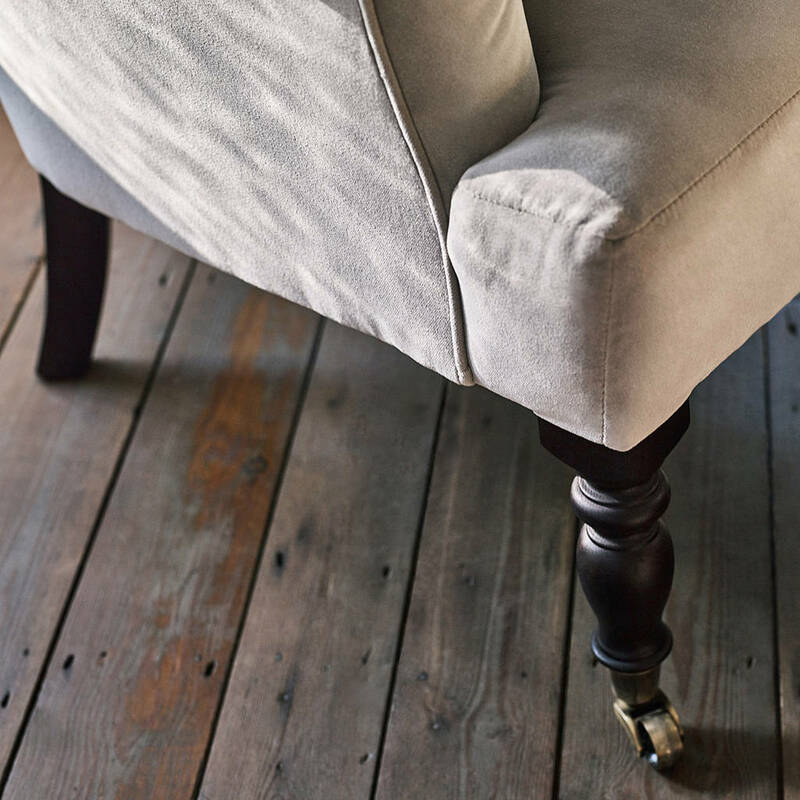 Do take a moment to observe, too, the wenge finish legs, complete with brass castors; a masterclass in well-turned elegance.